Facebook’s fad literally came, saw and conquered the world becoming a trend within short span of its advent. It won the hearts of million in no time and started setting new social norms and lingo. Large number of friends is a sign of greater socializing skills, getting more “hits and likes” show your popularity, the “unfriend” feature marks the last chapter of your relationship and the list goes on and on. Facebook seems to be predestined, or should we say jinxed in modern lingo, like some Greek tragic character whose tragic flaw is none other than its haughty disdain for social media privacy issues.Its user friendly platform attracted millions of users in the blink of an eye and the best part was that the users covered vast demographics of age, creed and nationality. Friendly as it might appear but tucked inside its closet is deep dark Skelton of neglected social media privacy rights. Caught unaware: Unaware of Facebook privacy issues, users starting joining the bandwagon vehemently but soon afterwards “certain creepy things” started happening which raised concerns and awareness about Social media privacy rights and issues. I don’t want to say that Facebook should have held some kind of Facebook privacy awareness educational program but there should have been some orientation about the privacy concerns that the user could face. Facebook’s latest privacy row over photo tagging and facial recognition: The basic qualm that users face are about Face Book privacy issues. The data that users share is of a very personal sort. For every human being, his personal stuff is sacred which he shares with the most important and reliable people in life. People have entrusted Facebook with something extremely personal and sacred but the Facebook platform doesn’t seem to respect that anymore. Its latest proof is the recently introduced photo tagging and facial recognition technology. The feature is more intimidating as it was an automated move and has been activated quietly. It has further jarred the nerves and trust of Facebook users. Facial recognition has made the Facebook data more vulnerable to unwanted public exposure, which certainly does not get along very well with privacy laws in social media. The service was originally meant for the US users but it has been activated for the users worldwide without their knowledge and consensus. More public and less private: Facebook founder opines that the platform is meant for modern times which are quintessentially “more public and less private” which doesn’t seem to go well with the masses. As modern times have further enhanced the primitive needs for private space. 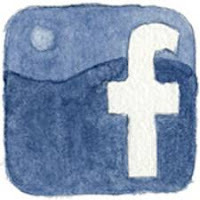 Facebook privacy should be revamped according to the public wishes and privacy laws in social media or they should be prepared for declining members’ numbers. Social Media privacy issues: Hiking ratio of cyber crimes in social media, endangering lives of teenagers and adults as well, has alarmed the whole world forcing them to revisit the idea of privacy and mull over new privacy laws in social media. The commercial usage of private information and material has been unprecedented for the users and even for the social media sites. Facebook privacy settings need revision as it doesn’t give the user full control over the availability of information like many other sites. 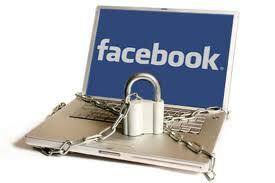 Social media privacy rights should be given due importance otherwise users will take the decision in their hands. But I would like to reiterate the fact that if the site doesn’t offer the due social media privacy rights then you should better take control in your hands and either quit the site which does not respect privacy laws in social media or restrict your activities accordingly. It is being suggested to stay away from social media and share nothing on it in case you want total privacy, yet there are some points acting on which you can get maximum level of privacy you want to your stuffs on social media giant Facebook. Regularly check your Facebook privacy settings for any unannounced changes and conduct all your activities carefully and adjust your settings accordingly. Keep the unwanted applications at a distant bay from the common use.